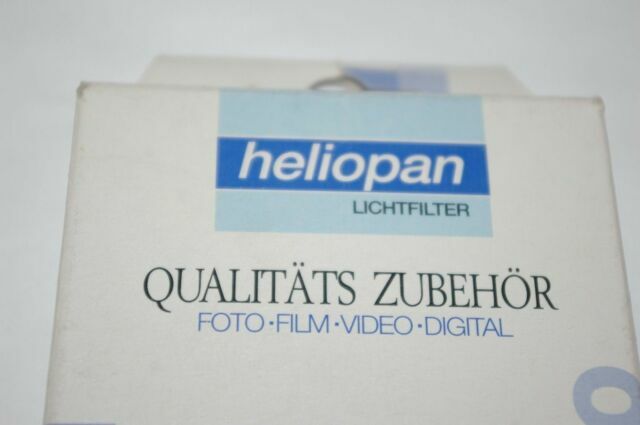 Heliopan glass filters are made exclusively with glass from Schott (Zeiss) the world's finest optical glass supplier. Heliopan filters are "dyed in the mass" and ground, polished and coated to the highest standards of the German optical industry. All Heliopan screw in type and series size filters are mounted in precision black anodized brass rings to eliminate binding or cross threading and to ensure optimal alignment. The care, quality and performance of Heliopan's filters make them simply the world's finest filters!